Kick off your visit on the 12th (Fri): admire the landmark architecture of Pantheon, take a stroll through Via Condotti, pick up a one of a kind souvenir at Serra, then explore the ancient world of Palatine Hill, and finally delve into the distant past at Colosseum. Get ready for a full day of sightseeing on the 13th (Sat): steep yourself in history at St. Peter's Basilica, admire the masterpieces at Vatican Museums, then shop like a local with I Colori di Dentro di Maria Grazia Luffarelli, and finally get to know the fascinating history of Piazza Navona. Plan my trip to Rome with suggested itineraries provided by Inspirock. Barcelona, Spain to Rome is an approximately 5.5-hour flight. You can also drive; or take a train. In April in Rome, expect temperatures between 24°C during the day and 11°C at night. Finish your sightseeing early on the 13th (Sat) so you can take a train to Salerno. On the 14th (Sun), relax and rejuvenate at Otium Spa Costa d'Amalfi, then look for gifts at Ceramica D'Urso Vietri, and then view the masterpieces at Sol’Art Ceramiche. 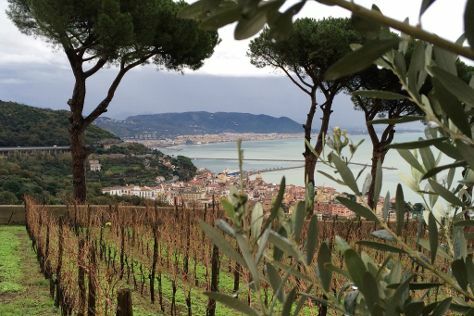 Get ready for a full day of sightseeing on the next day: browse for treasures at Libreria Antiquaria Vecchi Libri, learn about winemaking at Le Vigne di Raito, and then enjoy the sand and surf at Spiaggia di castiglione. For more things to do, maps, other places to visit, and more tourist information, refer to the Salerno tour itinerary app . Traveling by train from Rome to Salerno takes 2 hours. Alternatively, you can drive; or take a bus. Plan for somewhat warmer nights when traveling from Rome in April since evenings lows in Salerno dip to 17°C. Finish up your sightseeing early on the 15th (Mon) so you can travel to Istanbul. Start off your visit on the 16th (Tue): take an in-depth tour of Topkapi Palace, browse the exhibits of Hagia Sophia Museum / Church (Ayasofya), then contemplate in the serene atmosphere at Sultan Ahmed Mosque, and finally look for gifts at Mısır Çarşısı. Get ready for a full day of sightseeing on the 17th (Wed): get engrossed in the history at Kariye Museum (The Chora Church), contemplate the long history of Galata Tower, take in the spiritual surroundings of Suleymaniye Cami , then admire the striking features of Basilica Cistern, and finally hunt for treasures at Kapali Carsi. To find where to stay, reviews, and more tourist information, read our Istanbul online trip builder . Traveling by flight from Salerno to Istanbul takes 7.5 hours. Alternatively, you can do a combination of train and flight; or do a combination of train, flight, and shuttle. Traveling from Salerno to Istanbul, you'll lose 2 hours due to the time zone difference. Expect little chillier evenings in Istanbul when traveling from Salerno in April, with lows around 9°C. Finish your sightseeing early on the 17th (Wed) to allow enough time to travel to Budapest. Kick off your visit on the 18th (Thu): steep yourself in history at Fisherman's Bastion, view the masterpieces at Koller Gallery, then contemplate in the serene atmosphere at Matthias Church, then admire the masterpieces at Hungarian National Gallery (Magyar Nemzeti Galeria), and finally take a stroll through Vaci Street. Get ready for a full day of sightseeing on the next day: take in the spiritual surroundings of St. Stephen's Basilica (Szent Istvan Bazilika), then see the interesting displays at House of Terror Museum, then take a stroll through Andrassy Avenue, and finally pick up some local products at Central Market Hall. To see ratings, maps, reviews, and tourist information, refer to the Budapest journey planning tool . Traveling by flight from Istanbul to Budapest takes 6 hours. Alternatively, you can do a combination of shuttle and flight; or drive. You'll gain 2 hours traveling from Istanbul to Budapest due to the time zone difference. Traveling from Istanbul in April, Budapest is little chillier at night with lows of 5°C. Wrap up your sightseeing on the 19th (Fri) to allow time to travel to Amsterdam. On the 20th (Sat), wander the streets of Leidseplein, then view the masterpieces at Renssen Art Gallery, then hunt for treasures at Albert Cuyp Market, and finally explore the world behind art at Museum Het Rembrandthuis (Rembrandt House). Keep things going the next day: admire the masterpieces at Rijksmuseum, explore the world behind art at Van Gogh Museum, and then take an in-depth tour of Anne Frank House. Traveling by flight from Budapest to Amsterdam takes 5 hours. Alternatively, you can do a combination of flight and train; or drive. While traveling from Budapest, expect a bit cooler days and about the same nights in Amsterdam, ranging from highs of 15°C to lows of 5°C. Finish up your sightseeing early on the 21st (Sun) so you can catch the train to Paris. Start off your visit on the 22nd (Mon): explore the world behind art at Louvre Museum, tour the pleasant surroundings at Île de la Cité, and then shop like a local with Le Marais. On your second day here, shop like a local with Champs-Elysees, then steep yourself in history at Eiffel Tower, and then explore the world behind art at Musee d'Orsay. 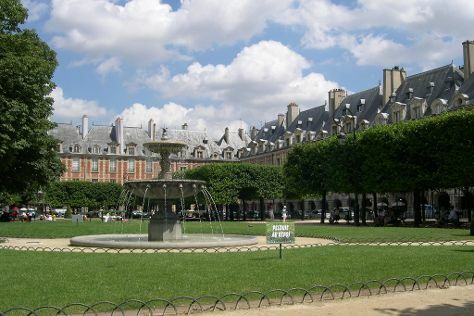 To find traveler tips, where to stay, ratings, and other tourist information, go to the Paris travel planner. Take a train from Amsterdam to Paris in 3.5 hours. Alternatively, you can fly; or drive. In April, daytime highs in Paris are 18°C, while nighttime lows are 6°C. Wrap up your sightseeing on the 23rd (Tue) to allow time to travel to Barcelona. Kick off your visit on the 24th (Wed): appreciate the history behind Casa Batllo, stroll around Parc Guell, then admire the landmark architecture of Basilica of the Sagrada Familia, and finally pick up some local products at La Boqueria. On your second day here, admire the striking features of Casa Mila - La Pedrera, see the interesting displays at Museo Picasso, and then take a stroll through El Barri Gòtic. To see where to stay, maps, reviews, and other tourist information, read our Barcelona trip itinerary planning website . You can fly from Paris to Barcelona in 5 hours. Other options are to do a combination of flight and train; or drive. Plan for somewhat warmer temperatures traveling from Paris in April, with highs in Barcelona at 22°C and lows at 13°C. Finish your sightseeing early on the 25th (Thu) so you can travel to Lisbon. Satisfy your inner culture vulture at Museu Calouste Gulbenkian and Rossio Square. Head to Avenida da Liberdade and Feira da Ladrafor plenty of shopping. Spend the 28th (Sun) wandering through the wild on a nature and wildlife tour. And it doesn't end there: take a stroll through Belém Tower, make a trip to Jeronimos Monastery, get engrossed in the history at Carmo Archaeological Museum, and examine the collection at National Tile Museum. To see photos and other tourist information, read our Lisbon trip builder app . Getting from Barcelona to Lisbon by flight takes about 5 hours. Other options: drive; or do a combination of train and bus. The time zone difference when traveling from Barcelona to Lisbon is minus 1 hour. In April, daytime highs in Lisbon are 24°C, while nighttime lows are 13°C. Wrap up your sightseeing by early afternoon on the 29th (Mon) to allow enough time to travel back home.